Ever since I made the silly decision to chop my hair off back when I was at school, hair extensions have been a huge part of my life. Since I was 15 and was given my very first pack of clip ins for Christmas, I haven’t stopped wearing them. Yes, that’s 8 years of not giving my hair a rest, but I promise I don’t wear them 24 hours a day! I’ve tried weaves, but never glue ins; mainly because I like to have them in when I want. I find the nicest part of my day is taking them out after a long day and shoving it up into a pineapple bun. I started off buying hair extensions from my local market, and although the quality was great I found them to be really pricey. As the internet shopping world grew I started looking for an alternative place to buy, where I found Halo Hair. 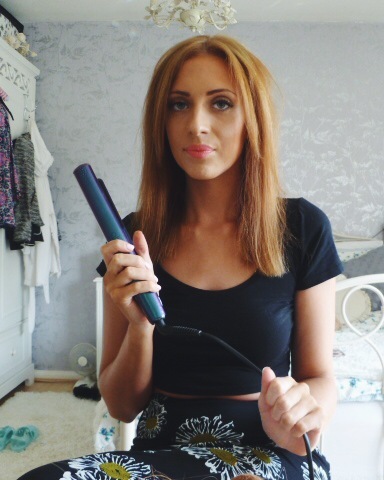 I now regularly buy a 20″ Full Head, and although they offer Deluxe (which gives you amazingly thick hair, I’ve tried) I just like to opt for the normal set as it’s cheaper and I find I have enough pieces. Once I’ve received them, I’ll clip them all into my hair and cut the pieces higher up to create layers. This makes it so that my own hair blends in. Now onto the tutorial. On a normal day, I like to wear my hair wavy. It’s not always the same result, but usually something similar to what you can see below. 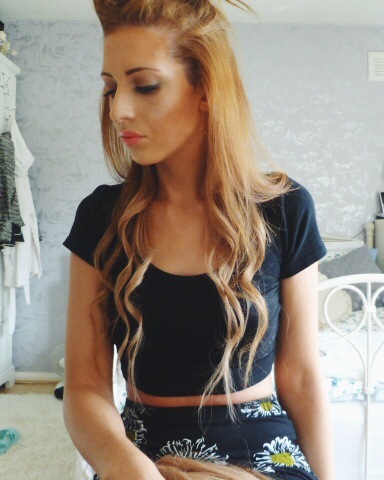 I use my GHD straighteners to create the waves, as it’s quicker than a curler and I always get the desired effect. Section your hair so that you only have the hair below your ears down, and clip the rest up out of the way. Clip in one or two pieces from the set that are the correct width to fit your head from ear to ear. Halo’s usually have 2 clips each on these ones. Curl the hair away from your face, twisting the straightener as you work your way down the hair. 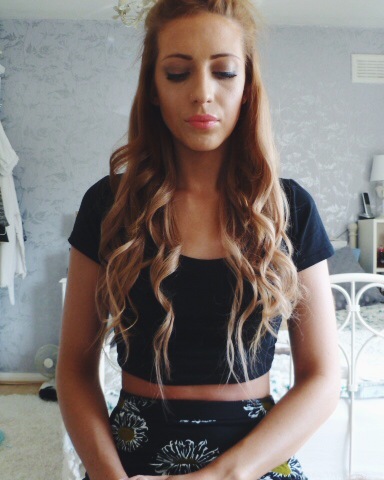 Next, undo the clip and section the rest of your own hair into 2 halves. Clip the top half back up out of the way and let the rest down. Clip in the next two pieces around one side of your head to the other, again the correct width to fit. Halo’s usually have 3 clips each on these ones. If your hair is thick, (mine is on top) repeat this process and layer the hair around the head again above the last pieces. Then, clip in your last few pieces. Halo has 3 single hair strips, so I place these depending on where I need more hair. Finally, unclip the last half of your hair. Curl and style to your desired preference. So this is the result! 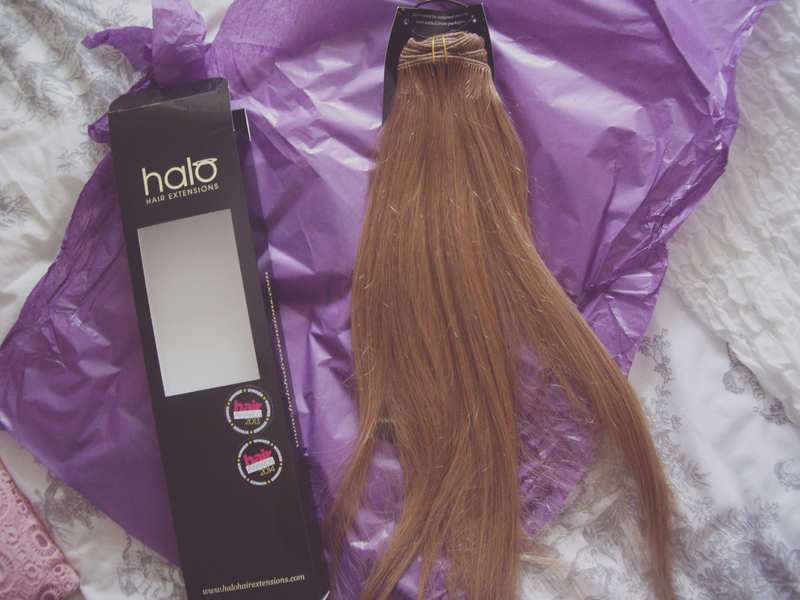 These hair extensions are usually £69.99, but if you sign up to receive their newsletters they often send out 10% discounts and I’m always taking advantage of them. I don’t find that a bad price, as they last me a good 3 months with continual use. Therefore I find the price to be worth it for the quality. 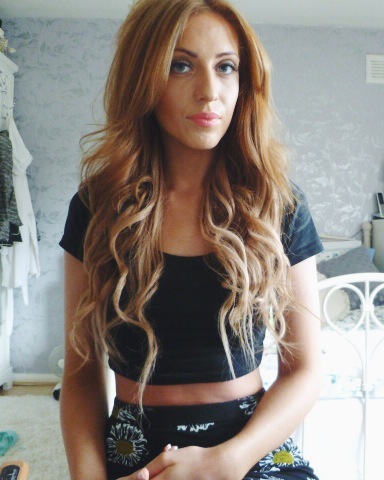 Have you ever tried hair extensions? I need to buy some but haven’t looked into many brands. Good information.